Clear price trends are a gift for investors, especially when markets are volatile. Right now, the answer to their prayers is sterling, which weakened below $1.45 for the first time since 2010 on Jan. 11. One reason why the pound is out of favour is that investors keep pushing back expectations of when Bank of England Governor Mark Carney will first raise policy rates. A year ago, money markets were looking for UK rates to start rising in 2016. Now, they don’t expect the BoE to tighten until 2017. This will particularly undermine sterling against the dollar given U.S. Federal Reserve Chair Janet Yellen has already started down that road. But rate differentials alone don’t explain why the pound has hit its lowest in nearly a year against the euro. European Central Bank President Mario Draghi is firmly in easing mode. These losses have more to do with uncertainty about whether Britons will vote to stay in the European Union in a referendum that looks likely to be held later this year, though the date has yet to be fixed. 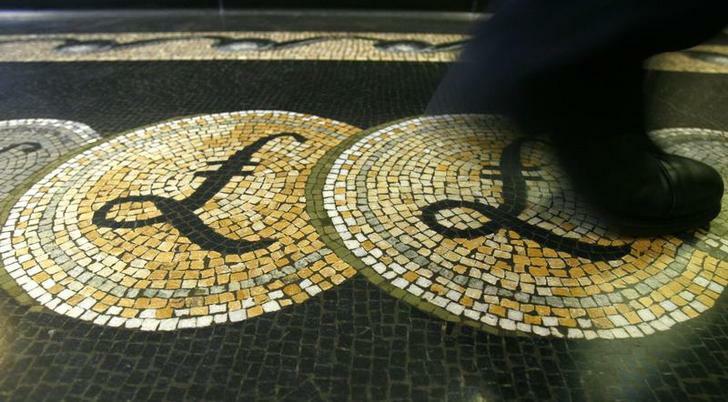 Growing bearishness about sterling’s prospects is revealed in the currency derivatives market. As recently as November, six-month options showed investors had a marked preference to buy sterling for euros. But now they have the most marked preference to sell pounds for the single currency since September 2014, around the time that Scotland voted on whether to remain a part of Britain. The pace of recent losses means that a pullback can’t be ruled out, say if the UK central bank sounds a slightly more hawkish tone than expected. The pound has already bounced a bit after shedding as much as 4.9 percent against the dollar and 4.6 percent against the euro in the past month. But there’s still room on the sell-sterling bandwagon. The number of net short-sterling positions has grown in the past month, according to data from the Commodity Futures Trading Commission, but is nowhere near historical extremes. Given investors have so few reliable trends to latch onto at the moment, this state of affairs may not last too long. Sterling fell to $1.4491, its lowest since June 2010, on Jan. 11. It also hit an 11-month low of 75.54 pence against the euro.